This thick 12.2 mil glove gives a high level of protection in extreme situations. A textured finish provides an excellent grip from a high-risk glove. 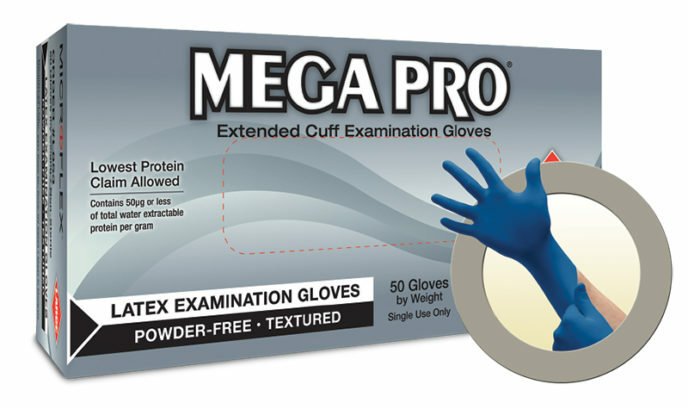 510K approved for medical use, thick with an extended cuff for extreme protection. The Mega Pro exam gloves meet or exceeds the emergency medical glove requirements of NFPA 1999, Standard on Protective Clothing for Emergency Medical operations, 2013 edition. Microflex Long Cuff N89 Exam Gloves Specifications We offer special pricing & volume discounts for Government, GPO, Health System, & Healthcare Facilities! Contact us for details.